Diet & Fitness Diet & Weight Loss Weight Loss Supplements NutraCentials WeightOFF MAX! NutraCentials WeightOFF Max cuts appetite & ignites metabolism. The Weightoff Max formulation was developed with Synergy in mind. Synergy is when one ingredient in the formulation combines with another to make it even more powerful! The nutrients in WeightOFF Max naturally work together to make it one of the most powerful weight loss formulas on the market! 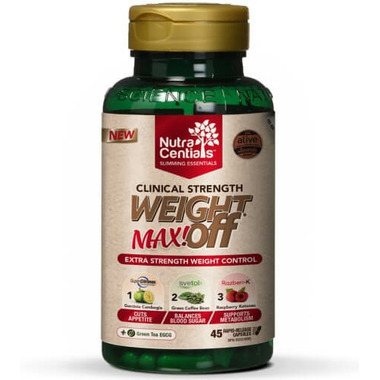 Customer Reviews for NutraCentials WeightOFF MAX!